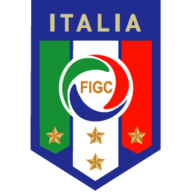 Italy ended their World Cup qualifying campaign with a 2-2 draw against Armenia in Naples. Yura Movsisyan put Armenia ahead in the fourth minute before Alessandro Florenzi pulled the hosts, who booked their place in Brazil last month, level midway through the first half. Armenia goalkeeper Roman Berezovsky made good saves to deny the Italians the lead early in the second half before Henrikh Mkhitaryan put the visitors back in front in the 70th minute. Balotelli, who missed last week's 2-2 draw in Denmark with a dose of flu, came to the rescue six minutes later to earn Italy a deserved point. Cesare Prandelli's men have finished the qualifying campaign with 22 points after winning six of their 10 games. However, the result means Italy could miss out on being a top seed in the World Cup draw. 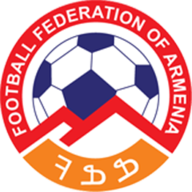 Armenia, meanwhile, finished in fifth place with 13 points. The visitors went into the encounter at the Stadio San Paolo needing to win to stand any chance of reaching the play-offs. They enjoyed a great start and went in front when Alberto Aquilani's poor clearance fell to Movsisyan, who beat goalkeeper Federico Marchetti from 12 yards. Italy almost equalised midway through the first half when Lorenzo Insigne's powerful shot struck the far post with Berezovsky already beaten. The Neapolitan Insigne continued to terrorise the Armenia defence and in the 24th minute, his perfect cross towards the far post found Florenzi who nodded the ball past Berezovsky. But on the stroke of half-time, Berezovsky kept out Insigne's stinging drive from just outside the area. Balotelli replaced Southampton forward Pablo Osvaldo early in the second half. It was the visitors that had the first opportunity after the restart when Mkhitaryan got his head behind Aras Ozbiliz 's cross, but his effort was saved by Marchetti. On the hour mark, Insigne fed Balotelli and his 25-yard attempt was kept out by Berezovsky. The visiting keeper then made another good save to clear Insigne's powerful strike to safety. Just when the home side were playing at their best, Armenia went back in front, Mkhitaryan getting past his marker before heading Gevorg Ghazaryan's cross beyond Marchetti. Italy soon drew level when Andrea Pirlo fed Balotelli in the box and he fired the ball towards the top-left corner where Berezovsky could not reach it. The hosts continued to press forward and seconds from time, Berezovsky kept out one last effort from Insigne.